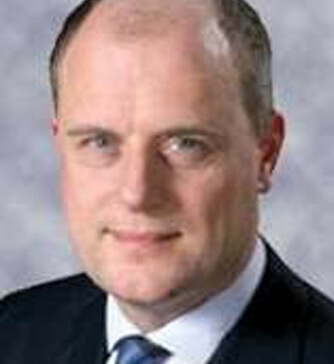 James Allibone was appointed as a consultant spinal neurosurgeon at the Royal National Orthopaedic Hospital in 2002. He was the lead spinal surgeon at the hospital. In 2007 he moved his NHS practise to the National Hospital for Neurology and Neurosurgery. He is currently the lead spinal surgeon at NHNN. The National Hospital for Neurology and Neurosurgery is a secondary and tertiary referral unit dealing with complex spinal cases. Mr Allibone’s particular areas of interest are degenerative disease of the lumbar, thoracic, cervical spine and spinal tumours. He has considerable experience in the conservative and surgical management of these cases. Although a neurosurgeon, he no longer performs any brain surgery, confining his interest to the spine. Mr Allibone qualified from The London Hospital medical college in 1989. He did his general surgical training at St Bartholomew’s Hospital and his neurosurgical training in North London based at the National Hospital for Neurology and Neurosurgery. He has had a number of local, regional and national roles in spinal surgery. He has sat on the executive council of the British Association of Spinal Surgeons; he is currently a member of the National Clinical Reference Group for complex spinal surgery and has led the North London metastatic spinal tumour group. He is the lead clinician of the complex spinal group at The National Hospital for Neurology and Neurosurgery and a member of the tumour team which deal with complex primary tumours of the spine. He is a member of the Society of British Neurological Surgeons, the North American Spine Society and the British Association Spine surgeons. He regularly presents at national and international meetings.